50 Cent didn't abandon his son on high school graduation day despite an emotional Facebook post from the kid, instead 50 claims he was intentionally blocked from attending by his son's mother at least that's what 50 is telling friends. Sources close to the rapper says, Fiddy is extremely hurt and upset by the photo his son Marquise Jackson posted on Facebook Sunday crying in his cap and gown while hugging his mother. Marquise wrote, "Yea I broke down. 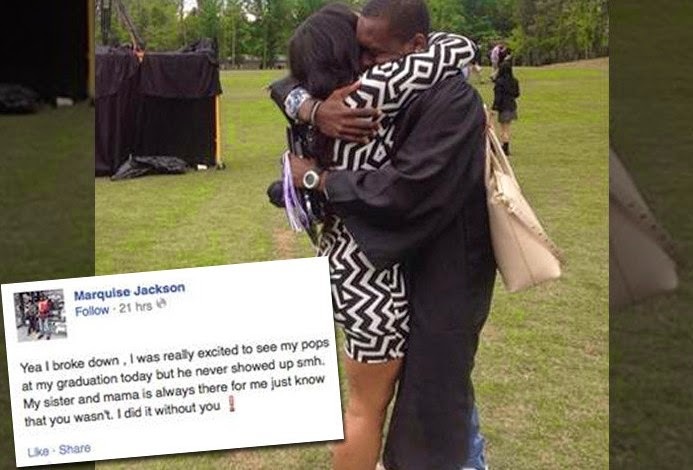 I was really excited to see my pops at my graduation but he never showed up smh. My sister and mama is always there for me just know that you wasn't. I did it without you." But 50 disagrees ... telling friends he was never told when or where the graduation ceremony was, or he would have been there. FYI, the ceremony was at Marquise's private school in ATL (the same school 50 reportedly foots the bills for).